Etihad Airways, the international airline based in Abu Dhabi, has appointed M&C Saatchi Worldwide to handle its £100 million global advertising account. The agency captured the business after a review that began in October last year. M&C Saatchi, once British Airways’ agency of record, won a pitch that also involved Saatchi & Saatchi, Leo Burnett and Beattie McGuinness Bungay. TBWA Worldwide was the previous incumbent and had held the account since 2005. The agency created Etihad’s recent TV campaign promoting its first-class suite and business-class flat bed, using the strapline: "From Abu Dhabi to the world." M&C Saatchi will service the account from its London office as well as set up a new hub in Abu Dhabi. 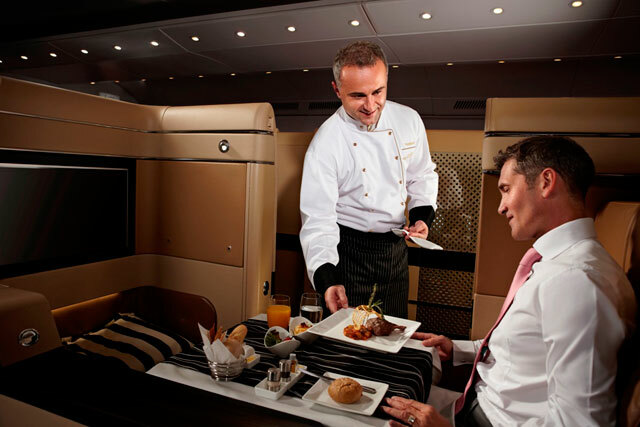 Earlier this month, Etihad reappointed LBi to its digital media account and Media-Com to its traditional media business. OMD previously handled the media account. The ad review follows investment by the airline in building its brand through sport tie-ups. Etihad, which was launched in 2003, signed last year as the main shirt sponsor of Manchester City Football Club in a ten-year, £400 million deal. As part of the deal, the club’s ground was renamed the Etihad Stadium, with financial support given to a nearby sporting facility, to be named the Etihad Campus.